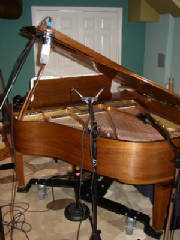 Gamba Music Studios is a full featured recording studio complete with a drumset and grand piano! 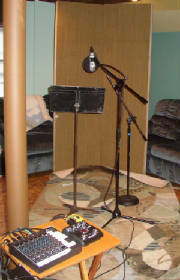 Projects have included everything from fully produced cds, to demos, audition recordings, music for commercial presentations, and voice overs. For audition recordings, our resident piano specialist, Leah Gamba is available as an accompanist or you can bring your own. Listen to samples of recordings made by Gamba Music.